Get ready to fall in love all over again—with self-discovery, handsome cowboys, and the unbreakable bonds of female friendship. After losing her dream job in Austin, Savannah Dondi has to do the unthinkable—move back to her small hometown. Living minutes from her parents and working in her aunt’s beauty parlor isn’t exactly the glamorous life she had planned. When she sees Hudson McAllister at the local rodeo, he’s even better than she remembered. Tall, lean, and clinging to a bucking horse. She only wishes she’d held onto him so tightly. Her misguided feelings for Rhett Lane had ruined it in high school, and if she doesn’t stop herself from falling back in love with Rhett, he’ll come between her and Hudson this time too. Avoiding him in a small town will be hard, though. Especially since their best friends are in love. When Savannah’s forced to realize she’s not the only one who’s changed, she has to make a decision that could leave her feeling like an even bigger failure than she did before. "Her words perfectly portray the recklessness and vulnerability of youth, their imperfections and growth." "When I first started reading this book it felt like your average, run-of-the-mill New Adult Western story about a girl returning to her hometown and facing the hotties she used to date and all the memories and drama that came along with it. I was sucked in immediately by Savannah's emotions and felt as though I were seeing the world through her eyes. I felt her pain and longing as she confronted these two important guys from her past. Her hometown felt so real to me." 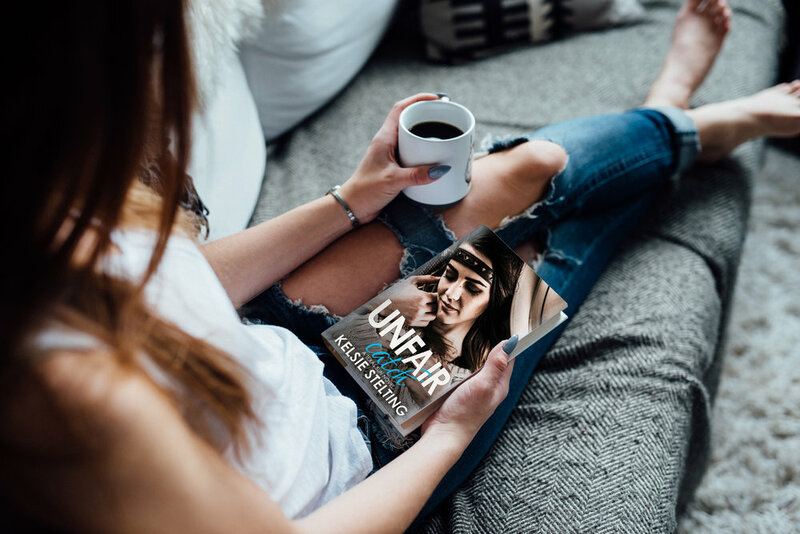 Already read Unfair Catch? Be sure to leave a review on Amazon and Goodreads!